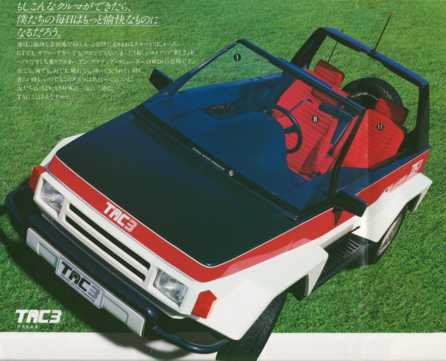 A small four wheel drive, three seat concept from Toyota from 1983. It even came with a trailer that would hold an additional four wheels for some serious off-roading!!!! 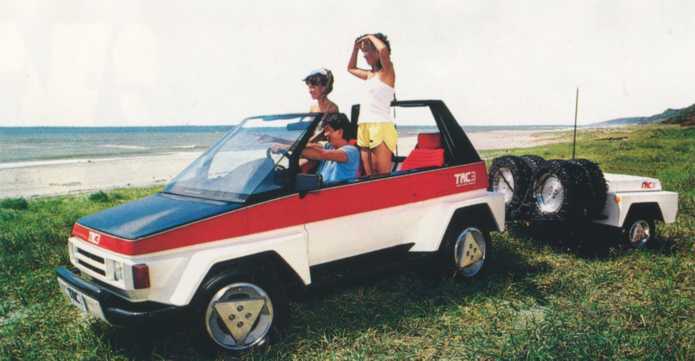 Okay it’s an out and out concept I mean just look at that central driving position. 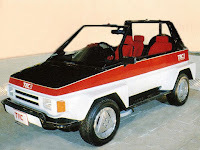 Ahead of its time definitely and I’m not too sure about the optional high or low level windscreen.